"I am very excited to be able to offer floatation therapy for those who seek it. Floating is something that everyone can benefit from, not just for the body but for the mind and soul. Even professional sports is starting to take a closer look at floatation therapy as a means of having athletes perform at their peak," says Astral Float Spa's owner Steven Skalkowski. 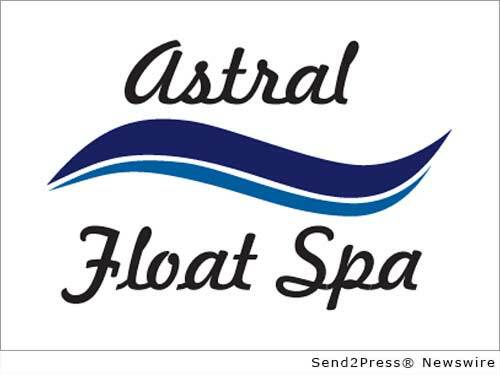 DENVER, Colo., July 31, 2014 (SEND2PRESS NEWSWIRE) — Astral Float Spa in Parker Colorado has just opened a new float center boasting 4 isolation tanks for sensory deprivation therapy making it the largest center in Colorado. Floatation has been on the rise most notably by the advocacy of actor/comedian Joe Rogan who regularly speaks about it in interviews, on his radio show, and podcasts. Based in Parker Colorado offering floatation and sensory deprivation, using isolation tanks filled with 10 inches of water and 850 pounds of Epsom salt effectively making a person buoyant. The water is heated to skin temperature so the water is not felt and the tanks provide a noiseless and lightless environment. It is like relaxing in outer space. Original Keywords: Parker Colorado, float, Floatation Center, Joe Rogan, sensory deprivation Astral Float Spa Denver Colorado DENVER, Colo.
REFERENCES: Business News, Parker Colorado, float, Floatation Center, Joe Rogan, sensory deprivation Astral Float Spa Denver Colorado DENVER, Colo.